This series of eight blogs is intended for those considering a transition to “intelligent financial planning and analysis” – essentially, modernizing solutions and systems to support a dynamic approach to analytics. Here, we’ll examine the technologies on the horizon that will support an intelligent FP&A solution. There are many new terms connected with IFP&A, such as “unstructured analysis,” “predictive analytics,” and “machine learning,” but often very little detail on how they can be used in everyday life. Sure, there is the odd example such as how the sales of one product in a supermarket are related to another based on their location. But what do these technologies actually do, and how can they help management in today’s fast-moving, complex business environment? Perhaps the best place to start is by considering the progression in analytics beyond reporting and see reasons why this has occurred. The following capabilities can be labelled as artificial intelligence (AI), as they try to mimic the behavior of a person in using the data to predict or make changes in the future based on historic data. This first capability has been around for many years, but typically within a dedicated statistical package. More recently, trending analysis has become part of the tool set available within most analysis systems under the name “predictive analytics.” It uses statistical techniques to detect patterns in the data of a single variable over time to produce a time-based formula that fits the series. This is then used to derive future series along with a degree of confidence about the accuracy of predicted numbers. This next capability recognizes that practically all variables are influenced by other measures, whether they be actions or assumptions about the business environment. These linkages can be deduced mathematically using a technique called regression analysis. There are two types of variable: a dependent variable, which is the main factor that we are trying to predict, and independent variables, which are the factors we suspect have an impact on the dependent variable. This analysis produces a formula that can be used to predict future results of the dependent variable by entering values (or using the trends created above) for the independent variables. In this next stage of progression, the analytic system constantly refines its mathematical model of past results and doesn’t require the user to make changes to the rules governing predictions. This is the basis of machine learning, where the constant supply of data and results allows the model to learn from historical relationships and trends in the data. This final stage links results (or more accurately, exceptions) to the management process itself. If any exception is spotted, the system can automatically trigger a response such as requiring more detail on the exception or causing a partial re-plan of the affected areas. This in turn moves organizations away from annual planning and budgeting to a process that is triggered by predicted exceptions. In the past, all of the above capabilities required data to be stored in some form of model that had a defined structure. This would be as a series of relational database tables, a multidimensional database, or a combination of both. Today, there is another option where data is not kept in a predefined model or organized in a structured manner such as tables that have defined fields and records. A good example are Internet search engines that are able to produce analyses from the web that have no regular structure. It’s still early days with this technology as far as FP&A is concerned. But it promises to speed up analyses as the data sources themselves, both internal and external to the organization, become part of the model. The limiting factor of all these technologies is the data itself. They all rely on data being accurate and complete. They also rely on the fact that the world is rational and that people make decisions based on sound logic. But despite this, these tools are a powerful ally for management as they seek to understand the past and how it may affect the future. The UK’s exit from the EU is obviously among them. According to the UK manufacturing monitor report, conducted by audit, tax and consulting services provider RSM, 45 per cent of respondents said it is too early to predict the impact of the UK leaving the EU. However, the referendum vote has resulted in general market uncertainty and an increase in raw material costs due to exchange rate fluctuations. Other issues that manufacturers are contending with include the EU’s General Data Protection Regulation—which is due to come into force in May 2018—and cybersecurity. Processes have become much more efficient and effective. In OSL’s Sheffield warehouse, for example, the ability to access stock and distribution information via a tablet has led to 97-98 per cent of scheduled deliveries going out each day, a significant improvement that just wasn’t possible without cloud. Learn more about NetSuite for the manufacturing industry. Many organizations are eagerly hiring new data scientists fresh out of college. Many of those millennial data scientists have been educated in software development techniques that move away from reliance on traditional and commercial development platforms, toward adoption of open source technologies. Typically, these individuals arrive with skills in R, Python, or other open-source technologies. Employers, as well as enterprise software vendors like Statistica, are choosing to support the use of these technologies, rather than forcing the new data scientists (who are scarce and highly valued resources) to adopt commercial tools. People with R, Python, C# or other language capabilities can integrate them into the Statistica workspace. This type of framework allows a simple, one-click deployment. Deploying an R script by itself can be complex and difficult, although there are new, high-level technologies that simplify the process. Statistica has chosen to allow integration of the script directly into a workflow. The developer can then deploy that script into the Statistica enterprise platform, leverage the version control, auditing, digital signatures, and all the tools needed to meet a company’s regulatory requirements. That’s a key advantage: The ability to incorporate an open source script into a regulated environment with security and version control without jeopardizing regulatory compliance. This capability is not entirely unique—some other, relatively new platforms can provide this ability to degree. But it has been feasible in the Statistica platform for a number of years, and is extensively proven in production deployments. The capability came out of Statistica’s experience in the pharmaceutical industry, one of the most regulated of all commercial environments. Governments require extensive documentation and validation of virtually every business process involved in producing drugs for human consumption. This includes every aspect of data collection and reporting. We have taken what we learned in this rigorously constrained context and applied it to a general analytical asset. That body of experience is differentiating among analytics platforms, as is the way in which scripts are incorporated into the Statistica workspace. Within a workspace, we can create a script, and pull in the packages and components from the open source community. This enables Statistica adopters to leverage the collective intelligence of data scientists throughout the world, and contribute to the development of these open source technologies. This is in character with the open source community, in which developers not only contribute new code but inspect, test, criticize, and fine tune each other’s work. Our users are extending the capabilities of Statistica through these collectively developed packages. We can import the data, merge, translate, create variables, etc. If we want to create a subset of data, we can deploy an R model developed specifically for this purpose by seasoned data scientist who has, in effect, added it to a library of gadgets that a business user can drop into the workspace, change the parameters, and get the standard output, as well as any downstream data that the script may produce. Because it opens up a world of new capabilities. There are new open-source packages being developed every day, and some will have quite compelling functionality. There are, of course, uncertainties in adopting new code from an unregulated developer community. Because Statistica sells into highly regulated markets, we are audited annually to ensure that our code meets the requirements for regulatory compliance. Open-source code does not undergo that kind of audit, and that can introduce certain risks. But the platform enables deployment of the code into a rigorously controlled operational environment, mitigating this risk. 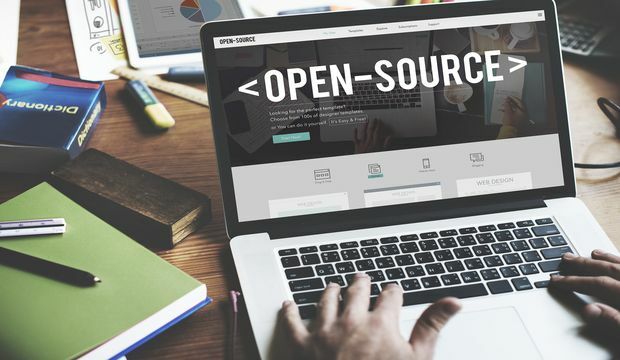 At least as important as the risk management element, the ability to promote the adoption of open- source scripting provides an attractive work environment for the current generation of data scientists. Given the intense competition for recent graduates, this can be a powerful incentive in itself for employers. Find out more about TIBCO Statistica’s capabilities. More than 80 percent of high-growth sales organizations use five or more sales technologies, suggests a recent online survey of 400 companies. American Association of Inside Sales Professionals partnered on the research and released their findings on Tuesday. The average number of sales technologies in use was 10, based on the participants’ reports. “There are hundreds of sales technologies available … due to the explosion of inside and virtual sales,” said Kameron Hobbs, director of marketing and operations at AA-ISP. “Customers want to interact digitally,” she told CRM Buyer. New technologies are layered into the mix as they come along, because they offer capabilities not previously even thought of, which impacts how many tools are being added, Hobbs noted. 66 percent planned to ramp up their use of marketing automation. Legacy solutions like CRM “are not enough to deal with the increasing complexity and pace of today’s sales environment,” observed Matt Reid, VP of marketing at Velocify. Several emerging-tech capabilities have been filling the gaps, he told CRM Buyer. “The challenge for companies is how [to] increase seller adoption of all these technologies, train them properly, and perform ongoing configuration and maintenance of these disparate solutions,” said Cindy Zhou, a principal analyst at Constellation Research. Eighty-eight percent of respondents said automated chat bots already were useful or would be useful to their sales teams in less than 10 years; 72 percent picked virtual reality; 55 percent selected holographic images. Artificial intelligence will be most useful for automating routine tasks such as appointment setting and data entry, respondents said. Virtual reality and holographic images will be more impactful later in the sales cycle, at the pitch and negotiation phases, their responses suggested. “Sales organizations are an area that, as a group, are likely to add or swap out technology solutions much more rapidly than other groups — such as HR or finance, for example,” noted Rebecca Wettemann, VP of Research at Nucleus Research. This tendency is strengthened by cloud options, which drive down costs and reduce the risk of adding new tools, she told CRM Buyer. Further, sales personnel increasingly download and use their own apps when corporate toolsets don’t meet all their needs, Wettemann pointed out. Spiro app, for example, started as a free productivity download for individual salespeople, and is rapidly growing as a broader sales force automation competitor,” she said. “Ultimately, the way your buyer wants to interact with you should be at the core of your technology decisions,” Velocify’s Reid said. Technology or tool overload is a problem, Hobbs remarked. Some companies have begun consolidating their technologies. Companies “should review their sales tech stack and curate if there’s overlap in functionality,” Zhou told CRM Buyer. For the survey, Syncsort polled over 250 respondents including data architects, IT managers, developers, business intelligence/data analysts, and data scientists, with 86% coming from organizations with revenues of more than $ 100 million. The results show a precise picture of how large enterprises plan to use mainframes (and mainframe data) in 2017. Next week, in part 2, we’ll look at what else besides connecting Big Iron data to Big Data analytics is trending on mainframe in 2017. Value-added resellers deliver computing equipment, software and services that help organizations improve efficiency and visibility across their operations. VARs need those same capabilities themselves to thrive in a fast-paced and fiercely competitive industry that puts a premium on customer service. GHA Technologies knows that first-hand. From its founding as a one-person shop in 1990, GHA has grown into a $ 141 million business reselling millions of products from 2,500 technology vendors such as Dell, HP, IBM, Cisco and Apple. Listed on the 2016 Inc. 5000 of America’s fastest-growing private companies, GHA has distinguished itself with a long history of superior customer service. GHA Technologies is also distinguished by its early embrace of cloud ERP. In 2003, the Scottsdale, Ariz.-based GHA was among the pioneering companies to abandon on-premise software and servers in favor of NetSuite’s cloud offering to run back-office operations. George Hertzberg, GHA Technologies founder and president, credits the move to NetSuite as a key enabler of the 175-person company’s phenomenal success. GHA has increased revenue five-fold over its 13 years on NetSuite while expanding the customer base to more than 30,000. Before NetSuite, GHA struggled with a Sage Peachtree system that crashed frequently because of file size limitations. Required daily backups were time-consuming and unproductive, and reporting was slow and painful. GHA made the leap to the NetSuite cloud after examining on-premise Sage MAS 90 and Microsoft Dynamics GP applications. GHA found in NetSuite an agile, unified platform that improved business performance across the board, from sales and order management to post-fulfillment support. Robust analytics, real-time data access and automated workflows that GHA enjoys with NetSuite are key ingredients in seamless customer-centric processes that drive repeat business and profitability. Flexibility in the SuiteCloud development platform is another value-add for GHA Technologies. Using the NetSuite open API, NetSuite solution provider partner Explore Consulting was able to easily build a direct API connection with CNET ChannelOnline, a supplier network that provides GHA with access to accurate pricing and product data for its largest distributors. Through that automation, GHA has shortened its sales cycles and saves as much as two hours per transaction per sales representative on the 1,500 transactions that GHA reps process monthly. With the time-savings gained through automation, reps can focus on more value-added tasks that deepen customer relationships. With NetSuite, Hertzberg is confident that GHA has a flexible, future-proof platform ideally suited to support continued rapid growth and innovation.